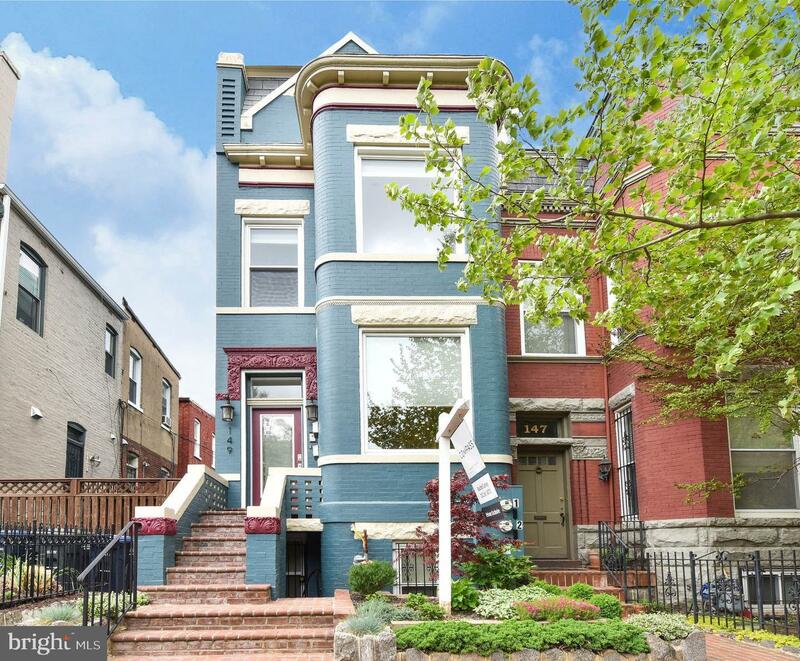 Pristine Bloomingdale Victorian with the perfect blend of classic character including exposed brick and modern updates. High ceilings with large windows and open floor plan breathes life into the home with amazing natural light and spacious living space. Large Master Bedrooms includes gorgeous master bathroom, walk-in closet and additional storage. Commercial Grade Kitchen Appliances and energy efficient washer and dryer. Full English Basement with a half Bathroom and Laundry room. Rear of the house includes a walkout patio and parking pad. You can have it all with luxury and great location! 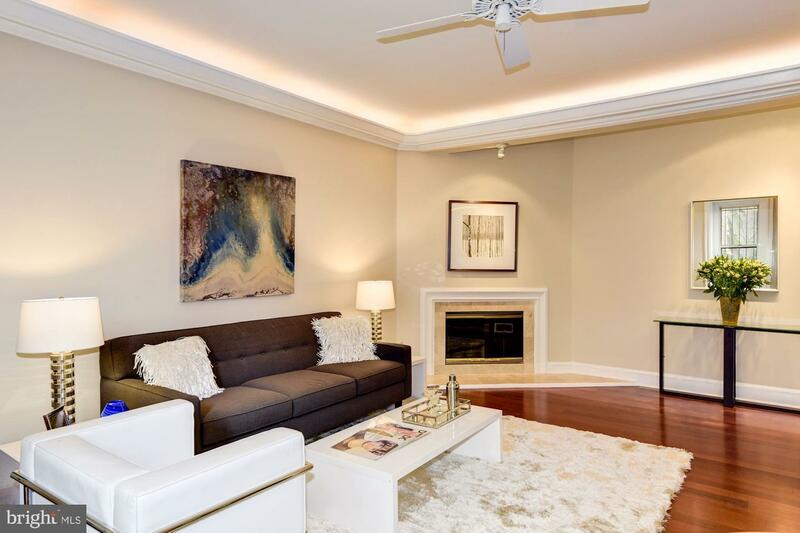 Elegant, upgraded four-bedroom, five bathroom brick town home on quiet street in prestigious Kalorama. 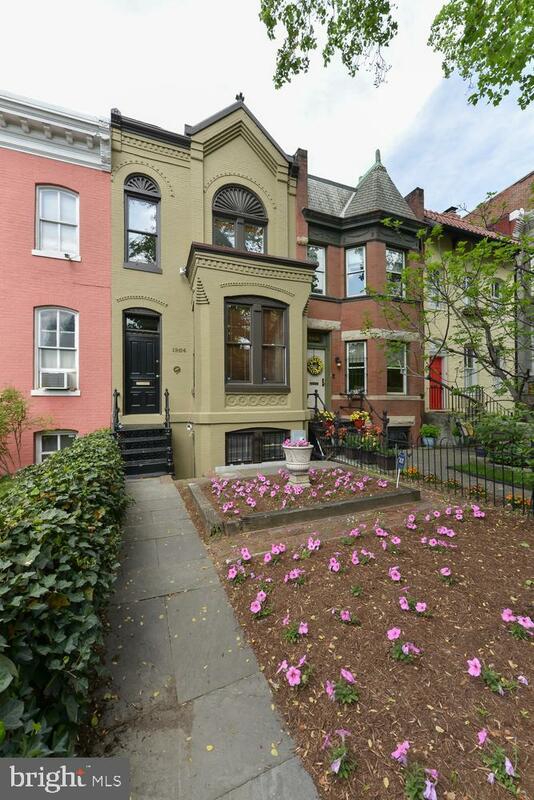 Fantastic location -- just four blocks to Dupont Circle. House is on Decatur Place between Massachusetts and Florida Avenues, mid-way between the Spanish steps and the old Textile museum. 3700 SQFT living space. With newly upgraded bathrooms, skylights, and coffered ceiling in the living room, the house combines traditional finishes with modern touches. Viking and Sub-Zero appliances. Guest bedroom has soaking bathtub and built-ins. Two open and spacious areas, one on the main level and one on the second level, are perfect as recreation or entertainment areas. Bright sun-room with breakfast nook, open master bedroom balcony, and private patio outside lower-level bedroom blend outdoor and indoor living. Fully finished basement with kitchenette can serve as Au-Pair or In-Law suite. Separate basement entrance. Large bonus room with Murphy bed can be used as fifth bedroom, gym, or office. Roof deck has amazing views of Rosslyn and Washington Monument. Contact listing agent to schedule private showing. 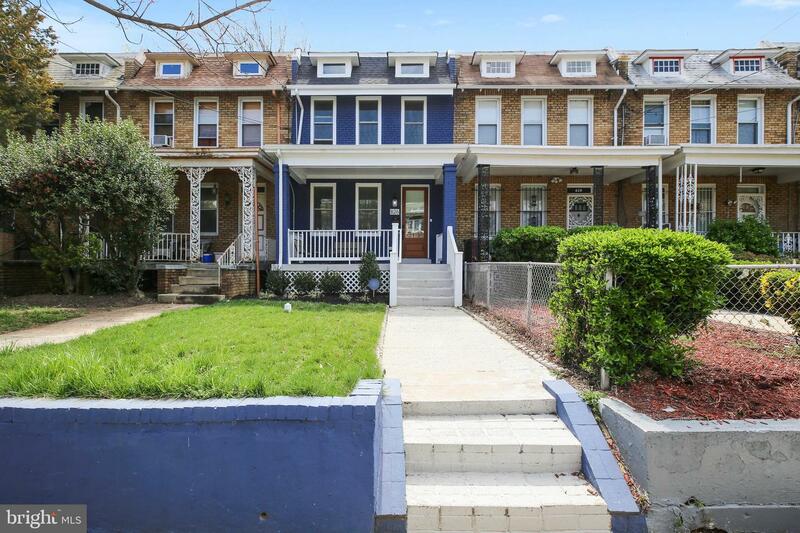 Situated on Jones Court NW; a mews like brick courtyard tucked just off Wisconsin AVE at the intersection of Q ST NW, this house features three fully renovated levels with real hardwood floors that has been freshly painted throughout. Features include: covered entryway with freshly painted trim and sleek new house numbers and light fixture, welcoming entry-level vestibule, open living room with wood burning fireplace, new recessed lights and sliding doors to elevated balcony, brand new kitchen opens to dining and living room, dining area with new hanging light fixture and custom wire guardrail, kitchen features white cabinets, stainless steel appliances, quartz counters, brick backsplash and recessed lights, renovated powder bath with all new fixtures, upper level features two bedrooms, fully renovated hall bath and washer + dryer, hall bathroom features marble top vanity, walk-in shower and oil-rubbed bronze finishes, owner~s bedroom with ample storage overlooks rear yard and second bedroom upstairs overlooks Jones Court with ample natural light. The entry level features a spacious family room, renovated full bath, kitchenette and third bedroom. Third bedroom has sliding doors out to rear patio featuring mature cherry tree. Spiral staircase connects patio and raised balcony in private backyard. Epic location in the heart of Georgetown! Open Sunday, 4/28, 12-2pm. Fantastic, modern, detached Single Family Home that was built in 2015. 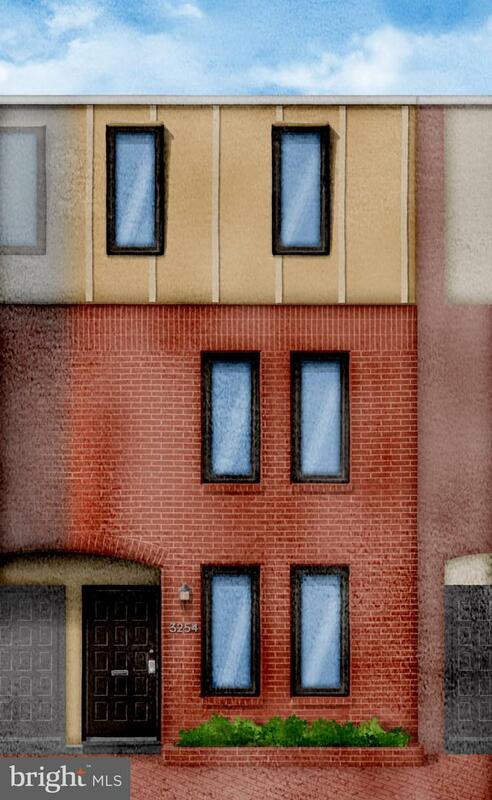 4 bedr with 3.5 bath and upper-level spacious loft. High-End custom features, Oak Stairs, Granite Kitchen Countertops, Hardwood Flooring, Beautiful Crown Moldings, Laundry Room on Bedroom Level and 9Ft Ceilings. Beautiful views of the balcony in the Master Bedroom. Attached 2 car garage and beautiful outdoor space. OPEN SUNDAY April 28th...1-4 pm. Offers, if any, due Tuesday at noon. 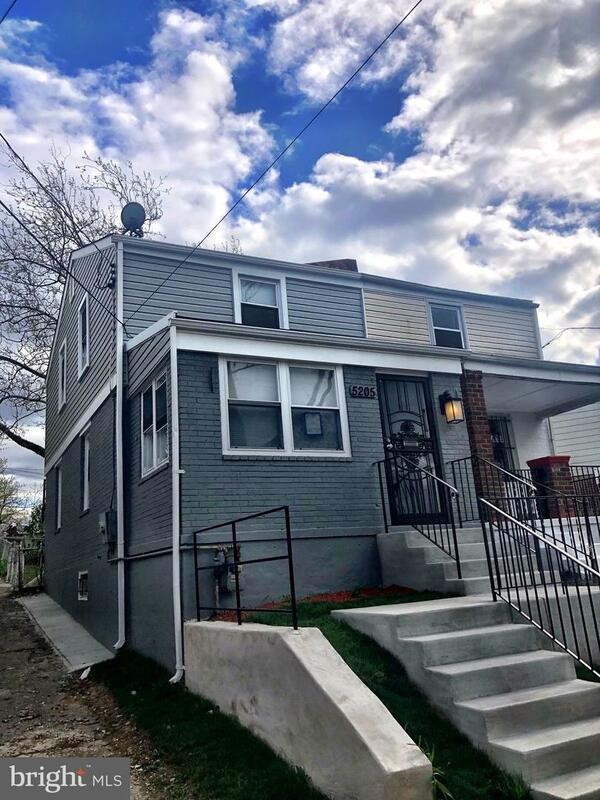 Pride of ownership shows in this adorable end of row house with newer roof, windows, hardwoods on main level and refinished original hardwoods upstairs, remodeled kitchen with pass through to dining room, partially finished lower level with exterior rear access. Fenced yard. You'll love it! 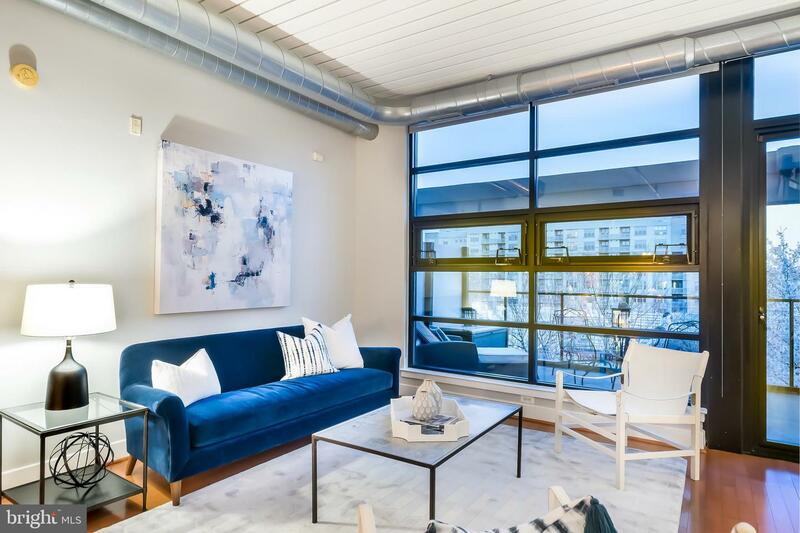 Welcome to this front-facing, ninth floor unit in an acclaimed building in close proximity to high-end shopping, vibrant and trendy restaurants, public transportation and cultural venues.The unit has been meticulously maintained and updated. The well-designed floor plan includes a spacious living and dining area, connected to a gourmet kitchen featuring stainless steel appliances and granite countertops. The master bedroom has a large private master-bathroom, walk-in closet, and a private balcony with beautiful unobstructed views of the city. The second bedroom is a spacious den with a second full bathroom, which includes a stackable washer and dryer.The common areas of the building have been updated and the building is well known for the fantastic 360 degree roof -op with swimming pool, BBQ, and outdoor seating areas.The front desk is open 24/7, with a manager on-site. The assigned parking space completes the package for this property. It is a true gem, providing an unparalleled city-living experience at the top. MUST SEE - 2-level 3 Bedroom/3 Bath condo. Completely renovated in 2015 with high end finishes and energy efficient appliances/systems. This condo has it all; exposed brick, custom granite kitchen with an incredible amount of storage, hardwood flooring throughout, LED recessed lighting, pre-wired for surround sound, private patio, and a picturesque south facing bay window. All bedrooms have en-suite bathrooms. OPEN SAT & SUN 2-4pm. 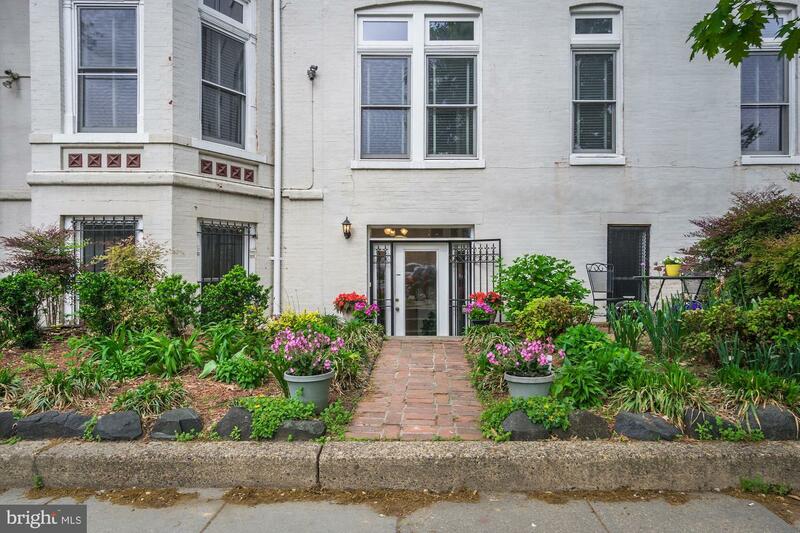 Don't miss this amazing opportunity to live in one of DC's most desirable neighborhood. 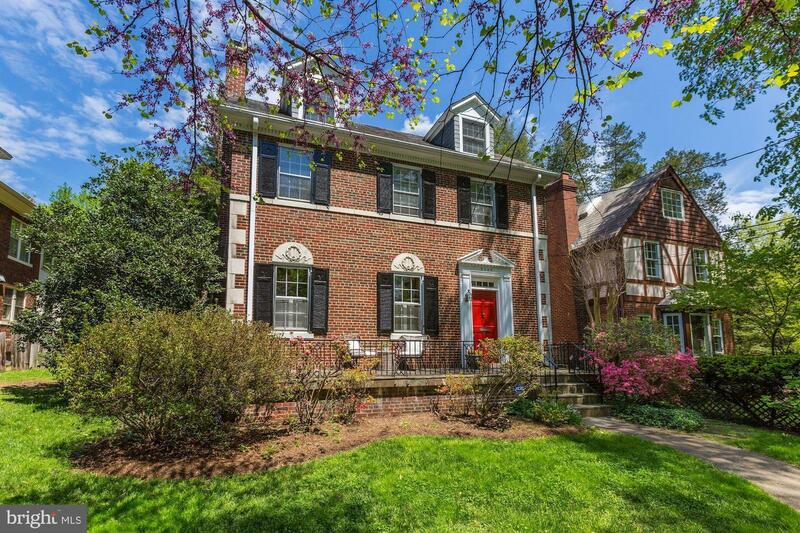 This stunning 3-level brick colonial in the heart of Chevy Chase features 4 bedrooms plus two amazing bonus rooms on the 3rd floor, 2.5 baths, a gourmet kitchen and breakfast area, family room off the kitchen, grand living and dining spaces, fireplace, gleaming hardwood floors, and crown molding throughout. Basement has ton of space and potential for an au pair or in law suite. Ample storage space throughout. Conveniently situated blocks from the restaurants on Connecticut Avenue with views of Rock Creek Park. Gorgeous community garden in the back alley - perfect spot for playdates, gardening or hanging out with new neighbors. Amazingly spacious & full of charm! Secure your place in history a block from the Supreme Court, Capitol, Senate Buildings and Library of Congress! 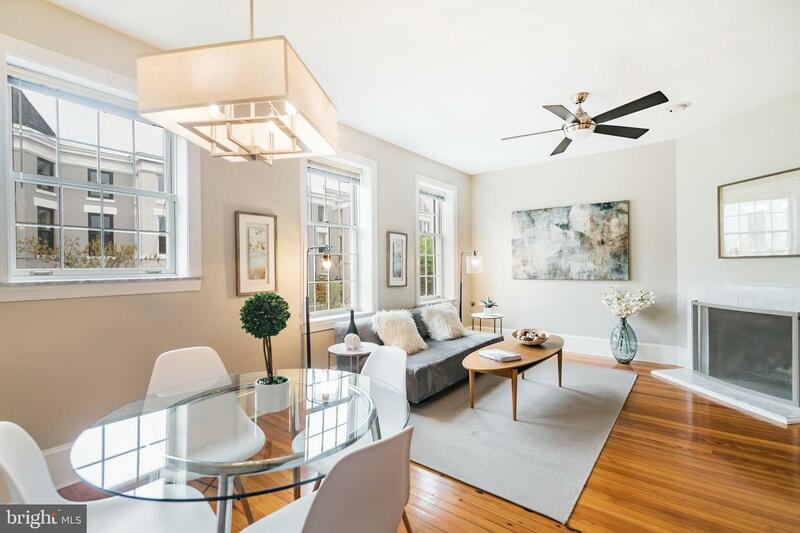 Radiating charm, this historic 2 bedroom, 2.5 bath townhome is a special find. Vintage details abound - original stained glass throughout, refinished original hardwood floors, built-in bookcases, exposed brick and a fireplace. Plus, the unique floorplan gives privacy to all inside! Outside, enjoy the spring with your slate patio and two front balconies, and the front bricks have just been repointed. Ask about parking! With just a little over ~ mile to Union Station, Eastern Market and multiple grocery options, what more could you want? Open 4/28, 2-4. 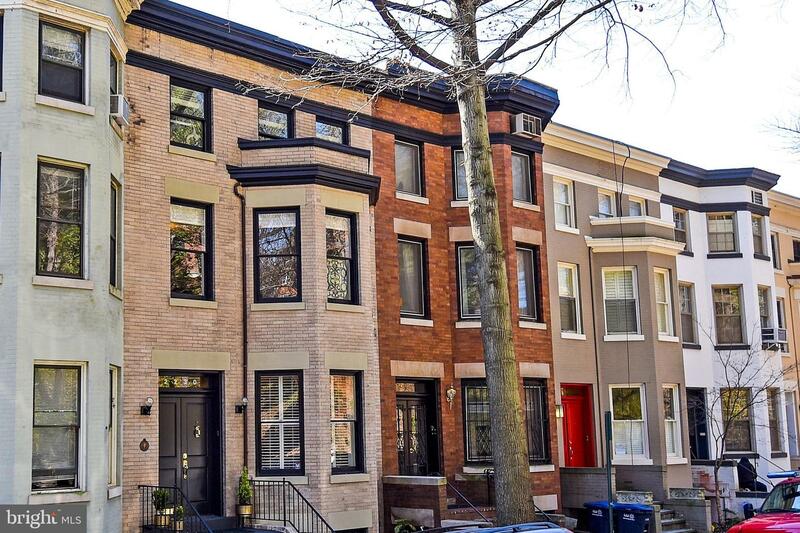 Located in the heart of Capitol Hill, this lovingly maintained brick-front Colonial is just a few blocks to metro, Eastern Market, and all the retail and dining options of Barrack's Row. The upper level has a modern kitchen that is open to the dining room and a large living room with a beautiful bay window. The upper level has a spacious, sunny master bedroom with two closets, a full bathroom, a second bedroom with a giant closet, and a small third bedroom that is ideal for a home office. With hardwood floors, exposed brick on every level, and a wood-burning fireplace on the main and lower levels, this home will not last long. The quintessential DC experience! 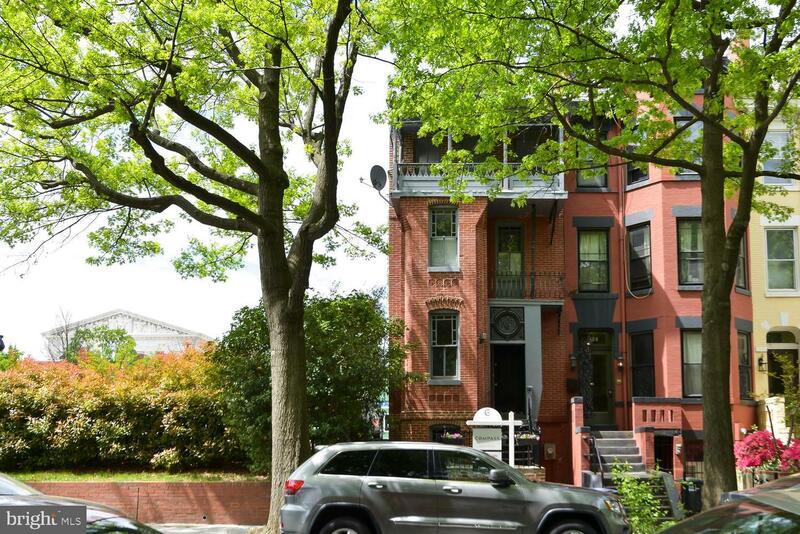 Why settle for less when you could own a historic rowhome set on a grand DC avenue? This stately 3 bedroom + den, 2.5 bath townhouse has a floorplan that allows an owner flexibility to decide how to live, with 2 bedrooms and den upstairs and an in-law suite with separate kitchen, bathroom and front and back entrances downstairs. Viking and Miele appliances and tons of storage grace the kitchen, and there~s lots of space for friends in the open dining and living rooms. There~s even two fireplaces for those cool nights, and a sweet back patio can double as small-car parking. What more could you want? Come, rest easy and enjoy! You~re home! Stunning block that Mayor Bowser just celebrated the 100th installation of SOLAR WORKS DC on 4/23/19. This amazing street is beautiful and quiet and charming from end to end. 1320 Emerald ST NE is full of character and appeal for buyers looking to simply move right in or looking to take this fine home to the next level. 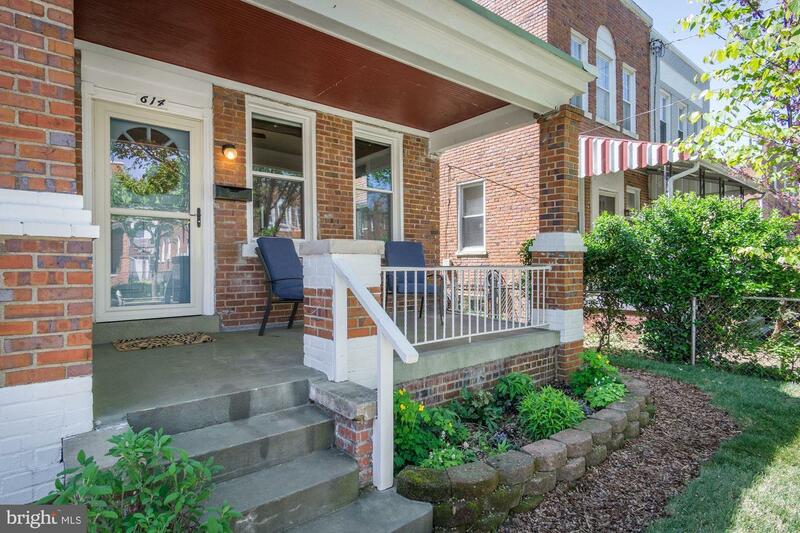 This south-facing gem has delightful curb appeal and a welcoming front stoop. The first level is unique and semi-open. The bay window is excellent for gazing up and down the street. The living room is cozy and full of natural light. The dinning area is huge and has direct access to both the kitchen and the living area. The kitchen has been updated and overlooks the rear yard. This layout is perfect for dining in or outside on nice weather days. The backyard is just right for low maintenance and enjoyable outdoor living. The upper level has a huge front Master Suite with vaulted ceilings and lots of windows for additional natural light. The Master Bathroom has large soaking tub and separate stand-up shower plus storage. There is another full bathroom in the hallway and a second bedroom overlooking the rear patio. 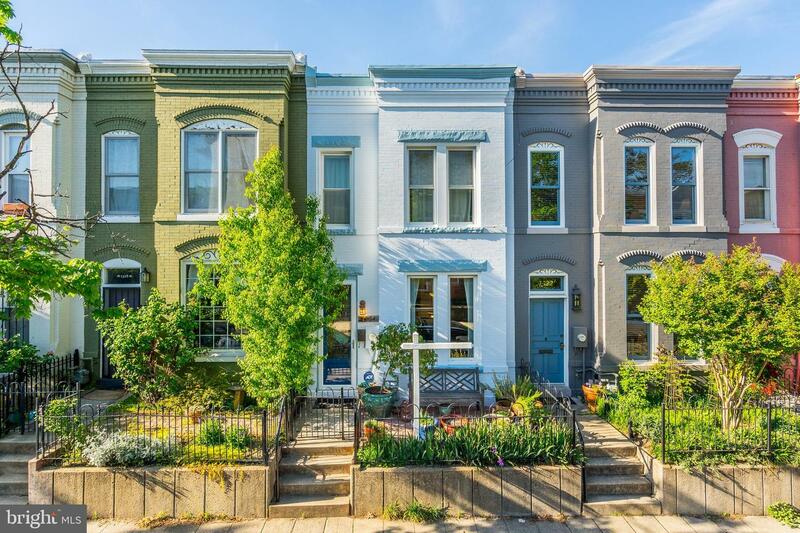 This fine home is just a few blocks off H ST NE and numerous restaurants, cafes, pubs, Whole Foods and Trolley are all walkable. This is a smart buy in a very hot market. Please do not delay! Beautifully renovated home with over 2,000 sqft of space and parking! 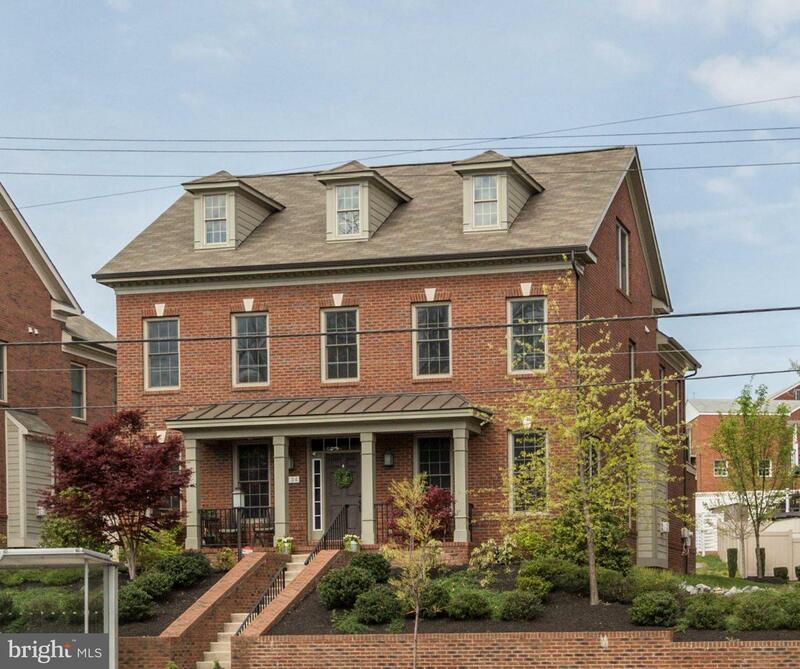 This spacious home features 4 bedrooms, 3.5 baths, coffered ceilings, crown molding hardwood floors, exposed brick and beautiful finishes throughout. Chef's kitchen boasts Carrara marble with breakfast bar seating, custom white cabinetry, Bertazonni pro gas range and wine fridge. Master bedroom features large closet and luxury marble bath with frameless glass shower and dual vanities. Finished basement features living area, bed and full bath and rear entrance. Enjoy outdoor space with lovely front porch and large deck in the back. 2 car secure Off street Parking. Convenient to Upshur St shops, Safeway and rec center. 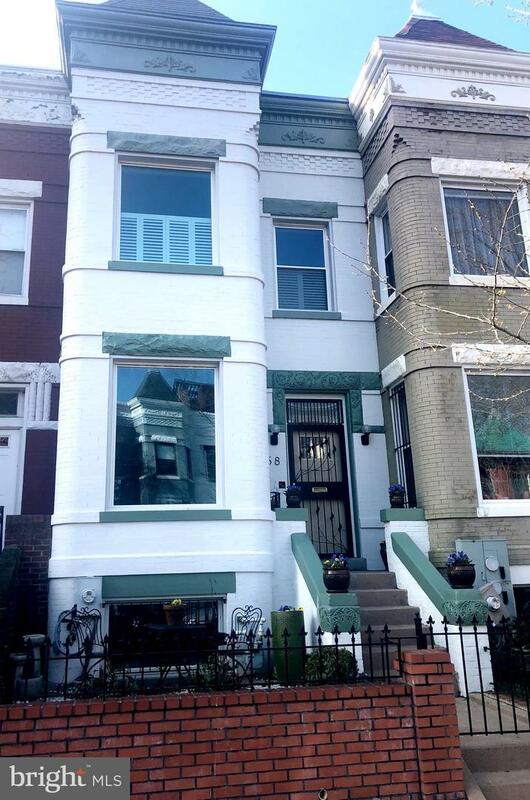 Spacious and wonderfully renovated 1 bedroom/1bath condo nestled perfectly between Dupont Circle and Logan Circle. Enter your new home through your private entrance. Beautiful landscaping and patio welcome you home. Not a basement unit. Amazing number of Pella windows. Brand new kitchen, brand new stainless steel appliances, brand new chic flooring, brand new paint. In unit washer and dryer. Central A/C. Wood burning fireplace. Condo fee is only $215/month and pet friendly. This condo truly has everything to exceed your expectations. Walkscore.com gives this condo a 97 out of 100 score making it a walker's and bike rider's paradise. So of course you will love walking and biking to all of your neighborhood amenities like Whole Foods, Safeway, restaurants, bars, parks, shopping, Metro stations. Open House Sunday April 28th 1-3pm. Look no further, your search is over! Spacious 1BD on a high floor in a full-service building. Minutes to METRO, Kennedy Center performances, Rock Creek Park bike trails, and G'town Waterfront. Features include renovated kitchen & bath, custom walk-in closet hardwood floors and private balcony. 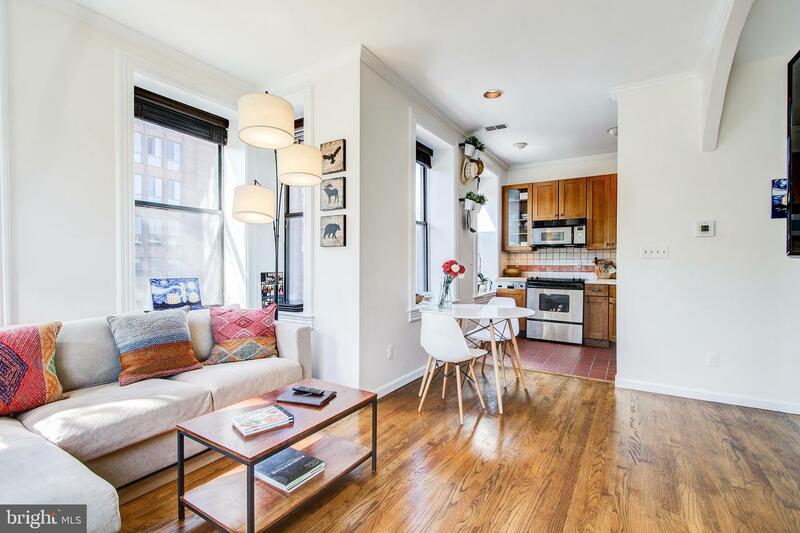 Bright and sunny 1 bedroom, 1 bath CORNER UNIT condo in the heart of DuPont Circle! More than ample natural light through generous windows on 2 sides. Wood burning FIREPLACE. Beautiful Mission-Style kitchen cabinets, HARDWOOD floors, Cental A/C, Washer/Dryer in unit. PET friendly building. Location, Location, LOCATION - this condo has it all. 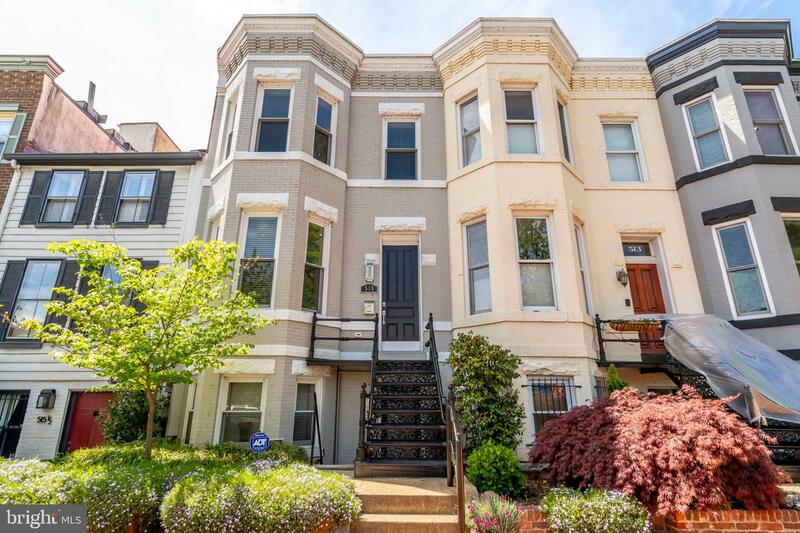 Two blocks to DuPont METRO and an easy walk to the West End. Walk Score of 97! THE one you've been waiting for! This stunning home was meticulously renovated to the core in 2013 and BARELY lived in since then! High ceilings, gorgeous hardwood floors, BIG rooms w/great natural light, GORGEOUS Living Room w/Coffered Ceiling, Formal DR w/FPL, Main Level Powder Room, TRUE Chef's Kitchen w/Sliding Glass Doors to BIG deck, Yard, 2-CAR secure parking and SUPERB LOCATION! 3 BR/2NEW BA on upper level that's LOADED with Skylights! Gorgeous Master Retreat w/Bay-Front + Two Addtl BR's & New BA. Truly gorgeous living & entertaining spaces throughout - and UPPER LEVEL IS AVAILABLE TURN-KEY W/ALL FURNISHINGS, ETC! NEW roof, windows, appliances & much more! 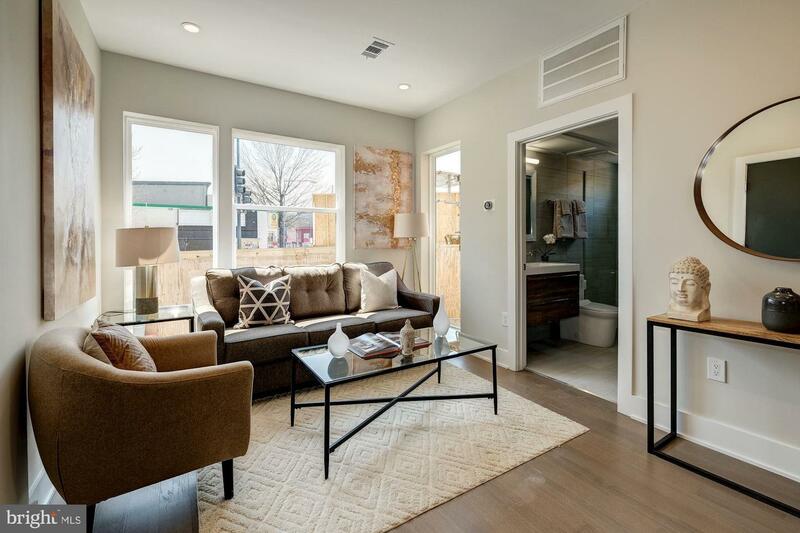 Fully Finished LL 1BR+Den rental unit w/CofO! This is the perfect mix of charm, natural light, great space and superb location. Not to be missed! OPEN HOUSE Sunday 4/28 from 12-2pm. Totally renovated, stunning 6BR/4.5BA/4 level/1-car garage brick colonial home in Foxhall/Berkeley, beautifully situated on an oversized private lot on one of DC~s most desirable, quiet cul-de-sacs. The home was completely renovated in 2017 with magnificent textures and finishes, stunning bead-boarding, gorgeous custom cabinetry, new Anderson windows, new roof, renovated/expanded bathrooms, unbelievable storage on all four levels (closets and built-ins added throughout), and ample living spaces. Everything from the major systems to the finest details has been upgraded and improved while preserving the charm and character of the original house. 4739 Berkeley Terrace is truly a rare find - it is a brand new home within the shell of an original colonial. The gourmet kitchen has been exquisitely renovated with stone walls, stainless steel Samsung appliances, beautiful fixtures, crisp cabinetry, an oversized farmhouse copper sink, and plenty of counter space to prepare meals. Entertaining will be a breeze with the open flow encompassing the expansive granite island, dining area, two living rooms, sunroom and lovely sliding glass doors leading to a deck and scenic yard which serves as your own private retreat from the bustle of the big city. The upper levels feature 5 bedrooms and 3 full baths with generous sized rooms, each boasting custom built~ins, wood blinds, and lots of natural light. The completely finished lower level includes a living room/exercise room, legal bedroom, kitchenette, full bath, walk-in wine cellar with 96 bottle built-in rack, a private entry including a secondary side deck, and a dedicated storage room with hundreds of square feet of space! Beyond being located on one of DC~s finest quiet cul-de-sacs, the property is one of a few homes that backs directly to the wooded area of GW~s Mount Vernon campus, offering incredible privacy and seclusion! GW/Mount Vernon encourages neighborhood access (and issues fobs); further there is a neighbor pool and tennis club at GW that neighbors can join for a small fee. Walking distance to many things! Foxhall/Berkley community residents value the picturesque, secluded escape from the city and neighborhood small-town amenities, including the following which are all walking distance to the home: shops, restaurants, library, supermarket, pharmacy, and parks. Additionally there are several schools and places of worship that are a close walk as well. 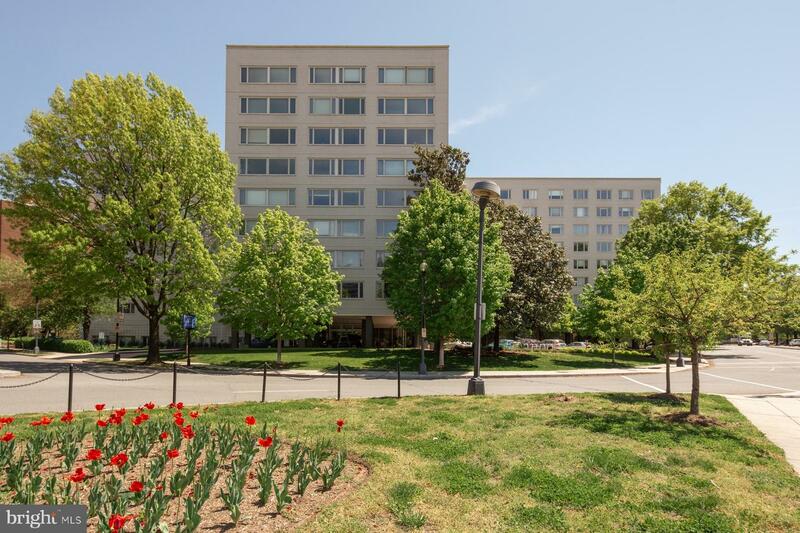 4739 Berkeley Terrace offers the best of it all, including the conveniences and easy commuting routes to Georgetown, Dupont, and K Street NW. Property has cameras with audio on the exterior of the home. Property shown by appointment only with the listing agent present and the seller has the right to attend all showings. 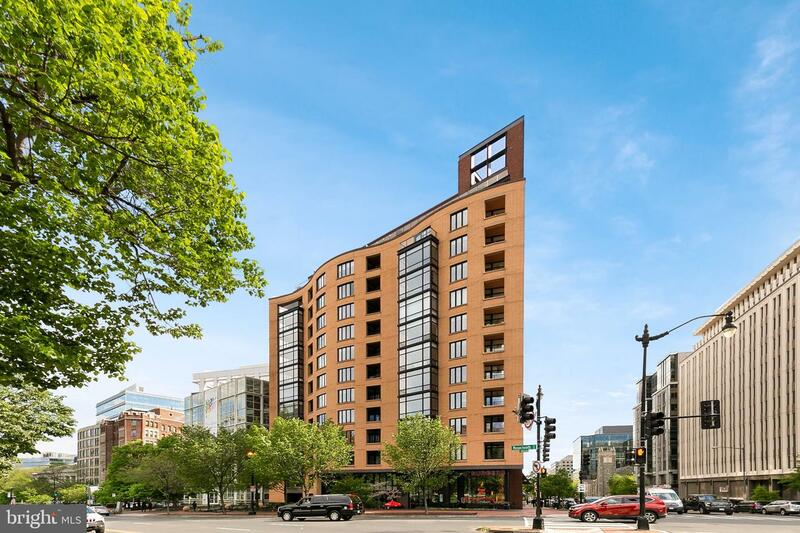 Welcome to this 2 bedroom (1 bed plus den), 1 bath condo at Ten Ten Mass, a modern and secure building with 24 hour concierge service in the heart of downtown DC. Floor to ceiling windows ensure ample natural light, showcasing hardwood floors and high ceilings. The open kitchen boasts stainless steel appliances, granite countertops, and an island/breakfast bar for flexible dining and entertaining. Enjoy a luxurious bath in the soaking tub, set in a spacious bathroom. In-unit washer and dryer make laundry a breeze. Bonus features include Garage Parking, walk-in closets, overhead storage space, built-ins, new dishwasher and newer HVAC. A true oasis in the city, Ten Ten Mass is a well-managed, pet-friendly building rich in amenities including a large rooftop and pool with the best 360 views of DC. 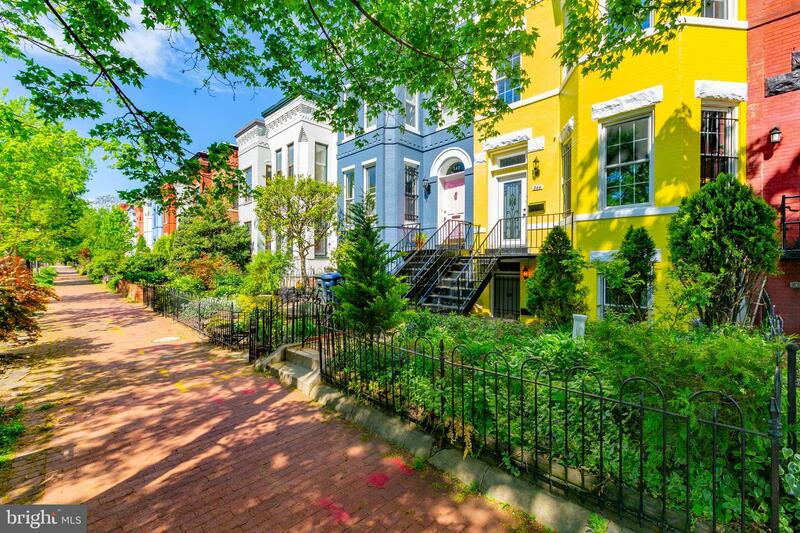 Unbeatable location, just a couple blocks away from the newly established City Center DC and centrally located to Logan Circle, Penn Quarter, and Mount Vernon neighborhoods. Commuting could not be easier with access to four metro stations including all metro lines! **FIRST OPEN HOUSES: SAT (4/27) & SUN (4/28) 1-4PM** Don't miss this updated 2BR/2BA condo with available parking in Dupont Circle! Unit #2 features an open floor plan with hardwood floors, great natural light & updated lighting. You'll love the living room with wood-burning fireplace, area for dining, and large breakfast bar that opens into the updated kitchen that has stainless appliances, great cabinet space, and granite counters! The spacious master bedroom is a true retreat with great closet space and spa-like en-suite bathroom that has a double vanity with a marble countertop, large tub, and rainfall shower head! The unit has an additional bedroom with built-in shelving and updated full bathroom with a glass shower and updated vanity. The cherry on top is the community rooftop deck that is only shared with 3 units and has sweeping city views! It's the perfect place to entertain or sit back and relax. One reserved parking space is available for an additional cost. Building is pet-friendly and has a low monthly fee. 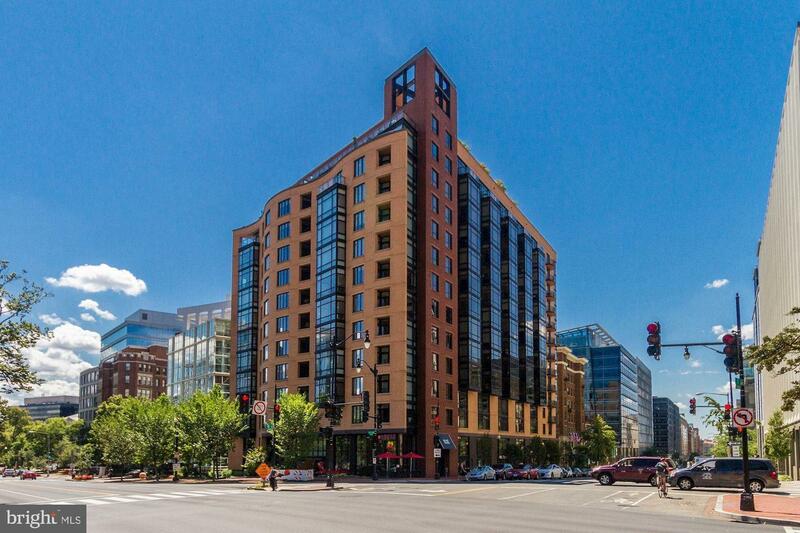 Located in Dupont Circle, you're a short walk to Metro, restaurants, coffee shops, grocery stores and more! Walk Score: 97, Bike Score: 96. Fantastic 2 BDR corner unit. HW floors, 9 ft ceilings, wood burning fireplace, Southeast exposure, spacious bathroom, large closets, Private secure storage (7x6x7) unit. Community rooftop deck with amazing panoramic views.